CRACKING NAP FINDS 50-POINT HIT FOR DAQMAN: What a cracking find! Daqman double dared a hit at Doncaster yesterday, by napping it and staking to win 50 points as a bull’s-eye bet. Cracking Find (WON 9-2) was 6.2 on BETDAQ at the time. 12.40 Cheltenham (Triumph Trial) Nicky Henderson, who has won four of these trials from the last six, saddles Adjali, always on the premises in five starts, and went down only a neck in a Grade 1 over Christmas. Alan King was back to form with a double yesterday but his hope here, Our Power, beat a Henderson horse when runner-up at Newbury, so Nicky should know the score. Winners today have finished in the Triumph Hurdle frame five times from seven to qualify in the decade, with two wins: 2-030-1-14. THE DAY THAT HONEYSUCKLE ROSE? 1.35 Fairyhouse (Solerina Mares’ Novices’ Hurdle) Limini and Laurina, Willie Mullins’ last two winners of this – he’s won five out of six – went on to take the mares’ novices at the Cheltenham Festival. Today he relies on Robin De Carlow. Hurdling over further has improved her jumping but proved that she doesn’t like soft-heavy ground. Honeysuckle also scored over further (in a Point) and the handicapper has given her the same 135 rating as ‘Robin’, which means she is, theoretically, 5lb well in here and, at age five, has a year in hand: with just three runs under her belt, comparatively unexposed. Tintangle is not far behind Honeysuckle on a line through Sassy Diva and, strictly on the book, Awayinthewest, only two lengths off Robin De Carlow at Limerick, ought to reverse the placings on 7lb better terms. Whatever wins should make her mark. Is this the day that Honeysuckle rose? 1.50 Cheltenham Unless there’s more than the forecast light rain, ex-French Nicky Henderson horses today won’t get the ground they are used to: Janika debuted well enough at Ascot but all four of his home wins were on heavy. The Kings Writ and Brelan d’As, another ex-French, may also need deep ground: Brelan jumps like the proverbial stag out of mud but did win a hurdle on good. Though Siruh Du Lac has been going the right way, there’s been nothing to suggest he can take this step up to Grade 3 in his stride. Ballyhill’s third to Aso didn’t look particularly special at the weights but he was giving poundage to the runner-up Happy Diva, who was very game in stopping Magic Of Light’s winning sequence yesterday. Ballyhill (BETDAQ 9.0) is a Cheltenham CD winner who has scored on all sorts of going but I wasn’t enamoured by 7lb-claimer Jordan Nailor yesterday when he kept Wicked Willy way out the back door, then rushed up from nowhere and made a mistake at the last, or would have won. He’s been watching too many Ruby Walsh videos. Can do better; today I hope! Activial has improved 10lb under Tom George and good ground suits, but he’s high in the handicap (despite what you read elsewhere) because he likes to be up there in the thick of things. Only one horse over the age of eight has won in eight seasons. Forest des Aigles is a progressive stayer who loves the mud but has won on good ground. He has a nice spot in the handicap but I’d been hoping to see some results from Lucinda Russell. She’s been missing strike badly. Her current sequence includes the defeat of two favourites into third this week: 3404033432. 2.25 Cheltenham (Cotswold Chase) Our Fortune Cookies, Frodon (who won the 1.50 here last year) and Elegant Escape, have this in the bag between them. Elegant Escape is still 10lb behind Frodon, if the handicapper is correct, despite his Ladbrokes Trophy second and Coral Welsh Grand National success. Nicky Henderson is doubly represented but Terrefort has needed soft-heavy ground in the past and, though he beat Elegant Escape on the soft last Spring, he was 50-lengths last behind the same horse in November, the last time he ran. Valtor took a huge step forward in December when winning the Ascot Silver Cup but also loves soft-heavy, as do many a cheval. 3.15 Doncaster (old Great Yorkshire Chase) Fortune Cookies followers will be hoping for a good-odds win from Warrior’s Tale, who was the ‘moral’ in this last year, beaten a head giving 2lb to the winner, Wakanda, who took the Peter Marsh only last weekend. But the Warrior, who has also been in the big-time money, taking the Grand Sefton in December, has a tough task off top weight today, with only one winner in 20 years carrying more than 11st 2lb to victory. He was 11.5 on BETDAQ this morning. With Alan King bouncing back with a double yesterday, Dingo Dollar could go well after his Ladbrokes Trophy third, and O O Seven is not out of it, with more wind ops after scoring on today’s track for his first success in two years but with Go Conquer, second that day, closing him down. We’re still up there with the high weights. So perhaps we should drop our eyes to Calipto (15.5 BETDAQ), who showed what a fine jumper he is at Wincanton on the last day, and how his relaxed style could well get him today’s trip. 3.25 Uttoxeter Bad favourite? Black Tulip’s last two conquerors, Marienstar and Synopsis, both flopped at Huntingdon yesterday. 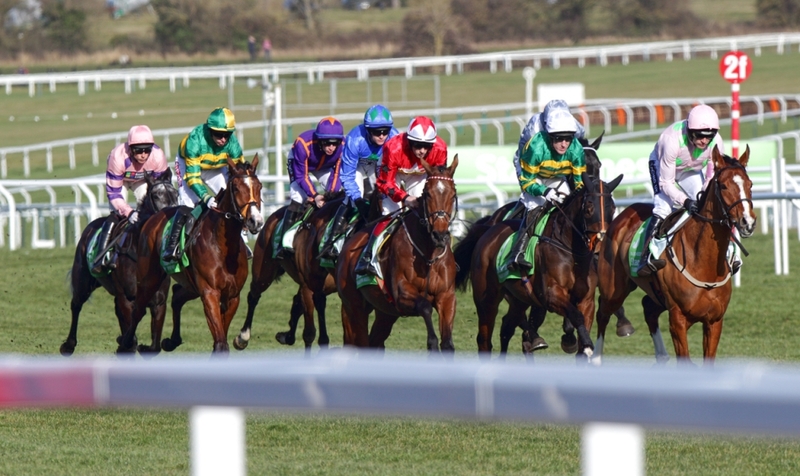 3.35 Cheltenham (Cleeve Hurdle) The last two winners, Agrapart and Unowhatimeanharry (now 11), are back for more. And we have to appreciate that this is an experiment to decide whether Midnight Shadow is capable of staying the 3m of this and the big one at at the festival (that’s why he was 9.8 on BETDAQ). So we certainly need an alternative. Wholestone, second to the Shadow on the last day, has a massive record at Cheltenham on both courses – 121131232 – and is a CD winner over 3m. Black Op, a good staying novice last season, has been chasing since, which has seen the horse he beat over hurdles at Aintree, Lostintranslation, reverse the form over fences, with Black Op the chaser still 4lb short of Black Op the hurdler. A 5.3 BETDAQ offer, Paisley Park swept through the ranks in the autumn, completing a hat-trick in the Long Walk, with today a natural sequence to the ultimate staying treble at the festival. Aux Ptits Soins won a handicap here on the first day of the new year, but, on the ratings, is the same horse he was a year ago so that has to be regarded as opportunistic only. 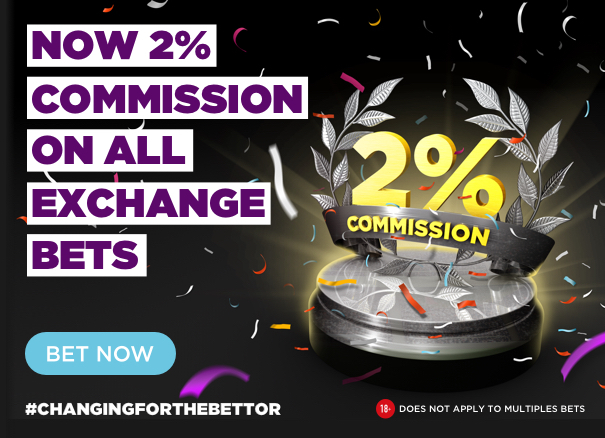 Did you know that as well as checking the realtime prices on BETDAQ below – you can also log into your account and place your bets directly into BETDAQ from BETDAQ TIPS. What do Backers and Layers Do? Worcester's England centre Ben Te'o is to leave at the end of the season, while ex-South Africa flanker Dewald Potgieter announces his retirement. Britain's Amir Khan says he wants to "prove a point" by beating Terence Crawford this weekend - but do BBC Sport's boxing pundits think he can win? UFC fighter Dan Ige says he is trying to locate a blood sample given to a mystery visitor he mistook for an anti-doping official. Manchester United's players "must deliver to stay in the squad", says manager Ole Gunnar Solskjaer. New attendance records are being set in women's football, but how do they compare to regular season crowds and is their scope for them to grow? Steve Clarke says nobody from the Scottish FA has been in touch regarding the vacant Scotland manager's job and he remains fully focused on Kilmarnock. Scotland all-rounder Con de Lange dies aged 38, months after it was announced he was being treated for a brain tumour. Stevo the Mad Man meets former West Ham striker Marlon Harewood who now designs cars for the rich and famous. BBC Sport Wales looks back at the moment Mark Williams shocked even himself by becoming the 2018 world snooker champion.